Health App Lab（ヘルスアップラボ）- 専門家がヘルスケアアプリを整理、分類│ » Deadline. Health App Lab（ヘルスアップラボ） > 全てのカテゴリ > 一般（健康） > その他 > Deadline. 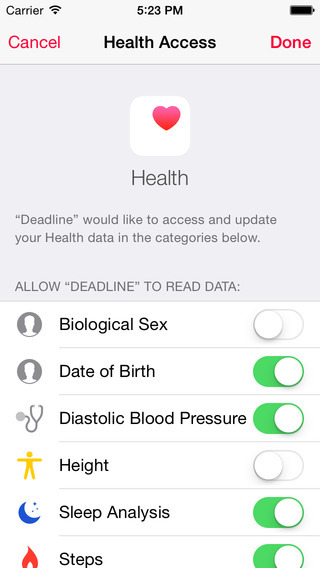 *Deadline uses statistical information to attempt to determine what could be your date of expiration, but of course no app can really accurately determine when you will die, so consider this a way to motivate yourself to be healthier (and consult a physician as necessary). A top 10 app overall, debuted at #2 in Health! You’re going to die. Yeah, I don’t want to, either. But, what if you knew how long you had left? It can also show you right on your home/lock screen, using a Today Extension / Widget.